If you or anyone in your traveling group has food allergies or intolerances, make a stop at Terra Treats on the Discovery Island Trail in Disney’s Animal Kingdom. This kiosk caters to guests with food allergies and other dietary restrictions, giving guests information on the best places to eat at the Animal Kingdom. The kiosk also serves snack items that are free from the top eight most common food allergens. 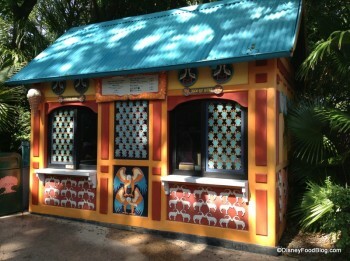 PLEASE NOTE: Terra Treats is located at the kiosk which was previously known as Discovery Island Ice Cream. Gluten-free snacks items and other allergy safe foods are available.